This is a really quick and easy project. 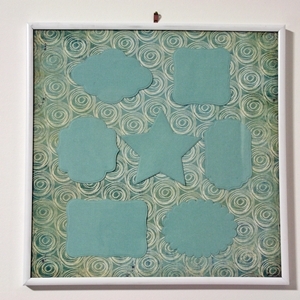 It’s a wipe-clean frame that can be used as a memo board. I’ve had one of these hanging in my craft room for about a year now, and it helps me keep track of assignments very easily. 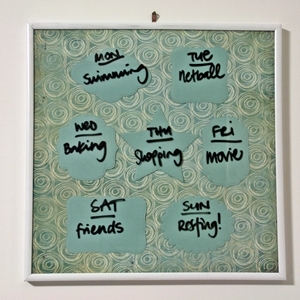 The one I’ve made here will be used to keep track of my children’s weekly activities. 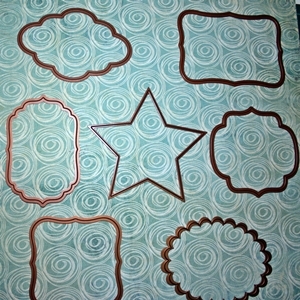 Gather together some patterned paper and matching Bazzill. 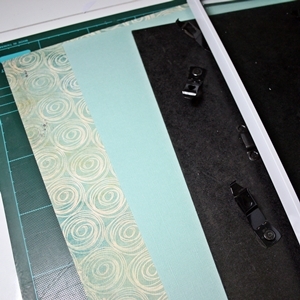 Disassemble the frame and trim the patterned paper to fit inside the frame. 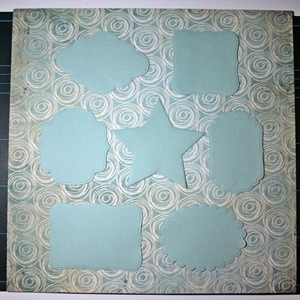 Select a variety of Nestabilities dies, and arrange them on the patterned paper to make sure they will fit. 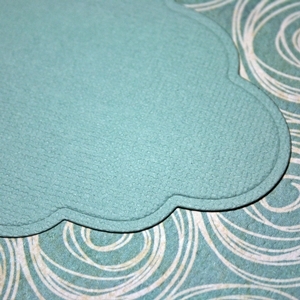 Cut these shapes out and emboss the edges using the Grand Calibur. 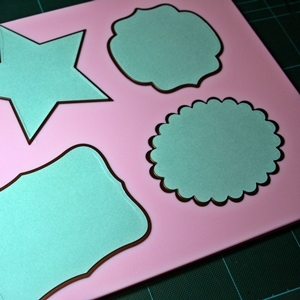 Adhere these shapes to the patterned paper with glue dots or your preferred adhesive. Your frame is now ready to use. Write on it with a whiteboard marker, and it can be wiped off with a tissue. You could also use this for shopping lists, reminders and quotes of the day.